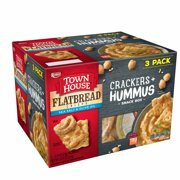 Product - Jj Flats Flatbread - Everything - Pack of 12 - 5 Oz. Jj Flats Flatbread - Everything - Pack of 12 - 5 Oz. Product - Faraon Crackers 12 oz.